Our August Friday Showcase presenter is Susan Allsop. 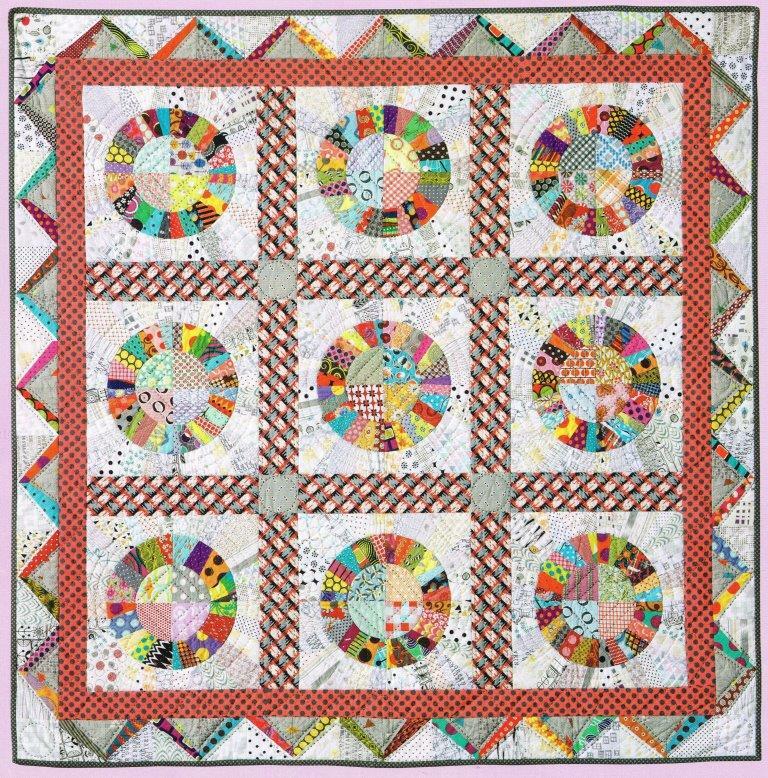 We welcome members and guests to see Susan’s quilts and hear the stories behind them as she shares her quilting journey in our Showcase on Friday 4 August at 10am in our Pitt Street office. Susan began quilting in her student days in the mid 1980s, producing two single bed quilts which she still owns. She has lived in several Australian capital cities and overseas, with her sewing machine a constant companion. 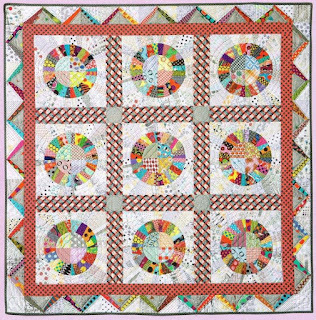 After moving to Sydney, classes at a local community centre reignited Susan’s enthusiasm for patchwork and quilting and her work has been further influenced by overseas quilting tours to Paducah and Japan. Susan is a frequent contributor and participant in QuiltNSW events and she works behind the scenes in the preparation of The Template. 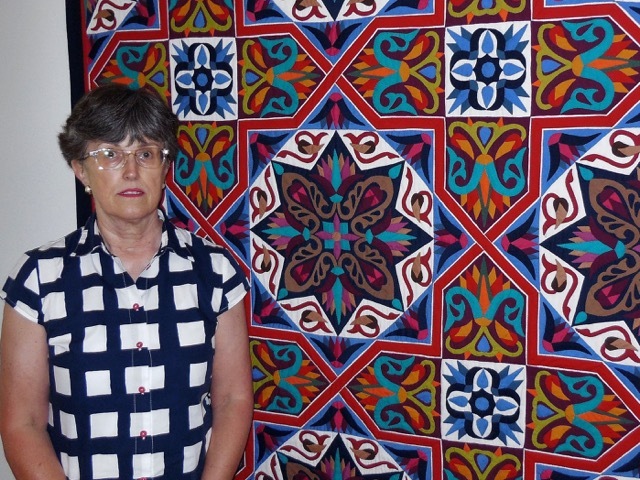 She recalls attending the Friday Showcase events early in her QuiltNSW membership days and it is with pleasure that we welcome her familiar face, and her exciting quilts, as she presents in August. QuiltNSW holds Friday Showcase at our office (just behind Town Hall station at 276 Pitt Street, Sydney) on the first Friday of most months with the presentation starting at 10 am. Visitors are most welcome so bring a friend along - $5 for members and $10 for visitors. The schedule of upcoming showcases for the rest of 2017 can be accessed on our website. We look forward to welcoming you to our office for Friday Showcase. 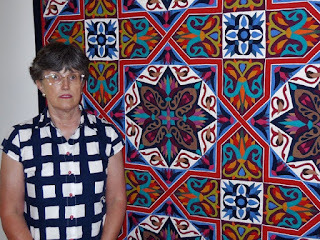 On the 29th July at The Glover Cottages inspiring quilt teacher, pattern designer and quilt maker from the Blue Mountains, Chris Jurd, will talk to us about Foundation Piecing and show us how her favourite technique figures in her work. 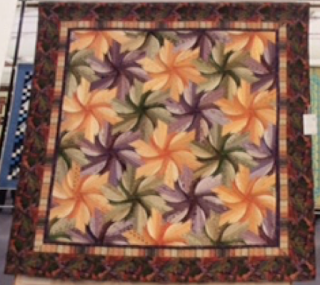 Bring along your own examples using foundation piecing to show and share with us. Please encourage everyone you know who is interested in quilting and quilt history to come along to talk. The Glover Cottages (124 Kent St, Sydney) is a beautiful light-filled venue for the talks and it is an easy and interesting walk via The Rocks from either Wynyard or Circular Quay train stations. Entry is $5 for Guild members, $10 for non-Guild members. Afternoon tea is provided and the talk starts at 2pm.